Until recently, most people associated ‘Bespoke’ with an eye-watering price tag. After all, aren’t you paying for something which is unique and completely personal to you, and that requires the highest level of expertise from both the designer and the manufacturer? 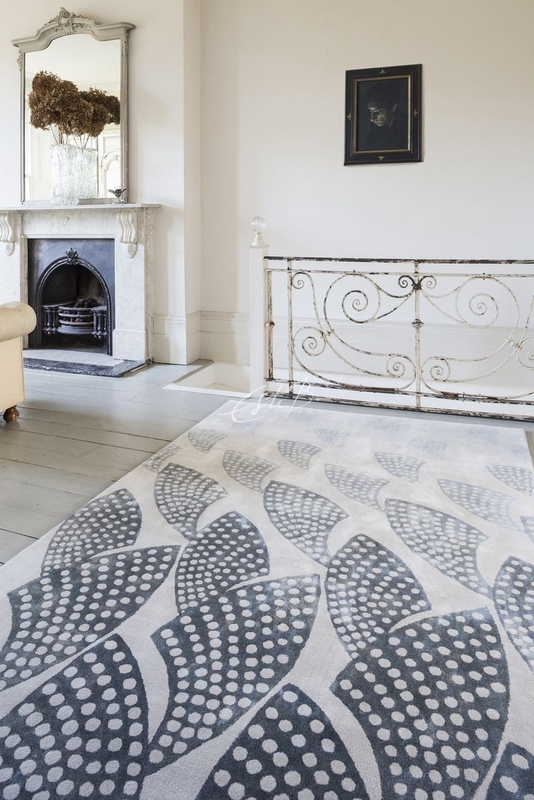 At Topfloor, we want to delight every one of our clients by designing and weaving rugs just as they want them, down to the colour, palette, size, shape and texture. Nowadays, everyone is interested in owning a rug that has been ‘designed’ for them, without the need for taking out a second mortgage. In response, rather like the fashion houses, we employ a number of ‘diffusion line’ options and techniques in order to make the brand affordable to all. 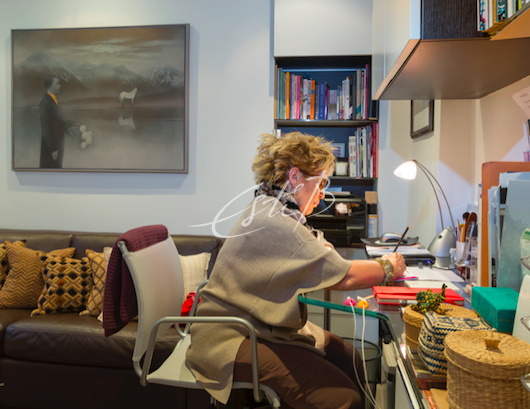 With over twenty years of working in bespoke rug design, our Creative Director Esti Barnes has acquired a wealth of expertise to help Topfloor make custom creations more accessible. We contract to weavers in different parts of the world. Since manufacturing costs vary between countries, we can choose those with the right combination of skills, quality and price to suit a particular client brief. Each has their own level of finish, but this means that you can still have a hand-crafted rug without having to resort to a cheaper, machine-made or mass-market rug. The choice of materials is another area where a small compromise can yield savings. It’s no surprise that asking for metres of silk, or the finest merino wool will come at a cost! Thankfully, nature has provided plenty of excellent options, and on-going yarn development research frequently gives us new materials and techniques to use. Bamboo is a great alternative to silk because of its natural sheen, and as a bonus is also more durable. The bamboo fibres of our hand-knotted KALEIDOSCOPE collection for instance are virtually indistinguishable from a natural silk alternative. Using some viscose yarn is another option. We also use the finest quality Tencel, another yarn with its origins in nature, which gives a luxuriously rich pile. Our PLUSH collection is a great example of the softness and sheen that can be achieved with Tencel. 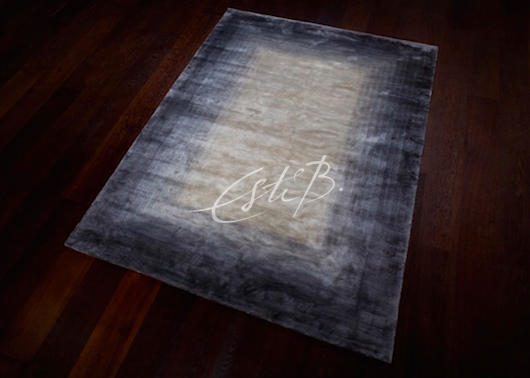 Esti has personally developed several techniques that create a more affordable finished product, while leaving the design almost unchanged. Ombré and graduated colour effects are one of the signature design features that Topfloor by Esti has become recognised for. While we can create sweeping washes of colour by using a whole spectrum of shades, with some technical know-how it is possible to produce a similar effect with fewer tones, lowering costs. Another signature Topfloor technique is 3D pile sculpting, which Esti has used to create the twice award-winning design ESQUIRE EVOLUTION – awash with geometric mountain peaks – and the floral swirls of ETHEREAL. 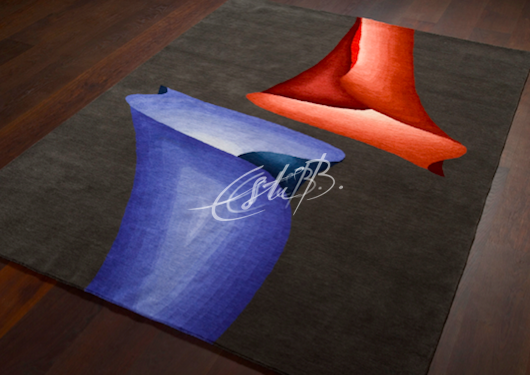 Due to their intricate design these rugs can only be sculpted by hand, but we can also use colour contrasts to create stunning flat pile trompe l’oeil versions. 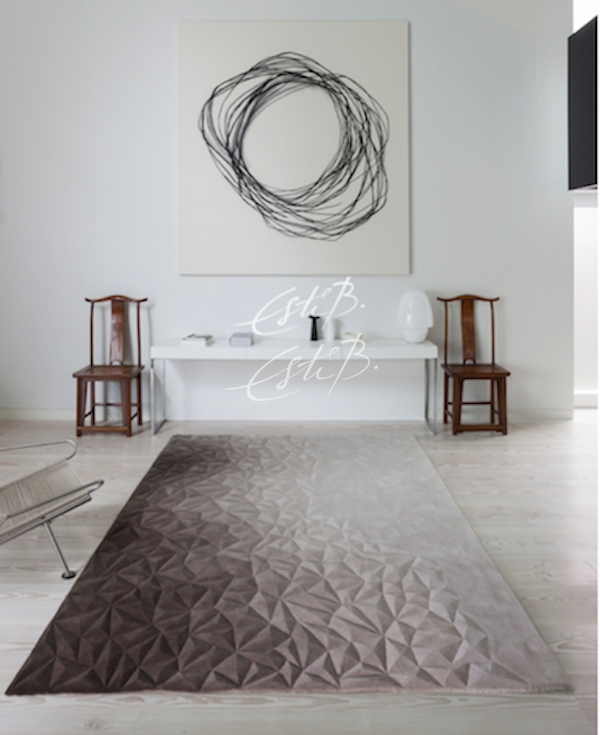 Not only more affordable, these rugs are a marvel in themselves for translating 3D detailing into two dimensions with a realism which will make you look twice! There are a few other areas where savings can be made. While we normally use airfreight to ensure our rugs reach our customers as quickly as possible, it’s also possible to ship by sea when time is not of the essence. 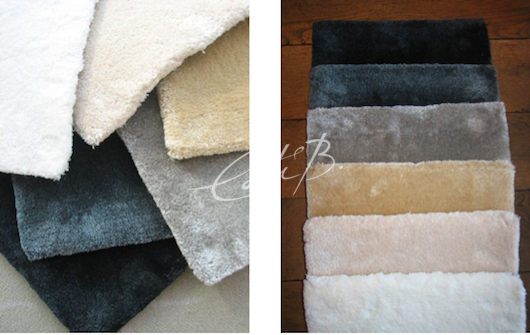 This can make a considerable difference to the overall cost, especially when shipping a larger consignment of rugs. We also offer discounts for large orders. So if you’re an interior designer working across several projects, it’s worth planning ahead and speaking to us early on, to see if you can benefit from these options. Brexit may already have had an impact on currencies and exchange rates, but we are highly experienced at minimising any effects on the final cost to the customer. Finally, exploring new avenues of design can present some surprising – and cost-effective – results. 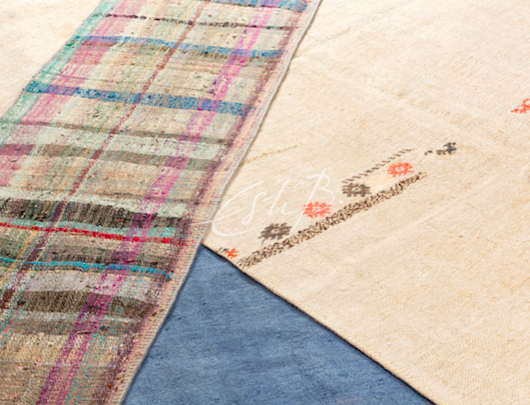 We have just launched the RE-WEAVE collection, a collection of rugs and runners that features re-worked, vintage kilims. While using vintage materials gives a new, affordable entry price, Esti applied her creative skills to introduce new colours, patterns and detailing to each design, producing a thoroughly unique collection of one-off pieces. 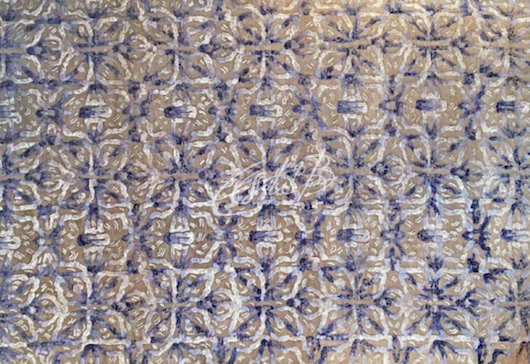 See more of the RE-WEAVE collection here, or contact us to discuss your ideas for a bespoke rug. 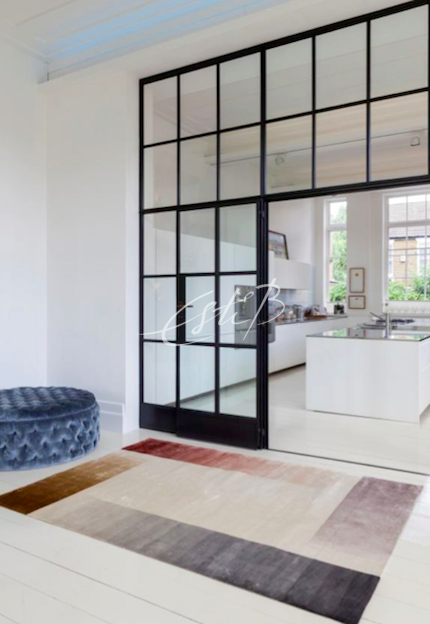 Topfloor by Esti is truly a design-led company so even if your budget is tight, don’t be afraid to ask, we’d love to see if we can make that perfect bespoke rug that is just right for you!